As the American economy has moved from traditional manufacturing and agricultural industries to technology and professional careers, the service industry has been one of the fastest-growing and most open sectors. The Bureau of Labor Statistics sees the job growth in hospitality management areas, such as Lodging Management and Food Service Management, growing steadily and without interruption between now and 2020. Of course, as many working adults seek to change careers, attain promotions, and start their own hospitality businesses, competition for secure management positions has increased, and it’s getting ever harder to move into higher managerial positions without a college degree. For adults working in the hospitality industry, whether food service, tourism, resorts, or entertainment, lack of a bachelor’s degree could be the one barrier to a higher salary and benefits. Working adults all over the world are turning to online providers to attain the education they did not complete before going into the work force. Online courses are flexible to manage around a work schedule, and offer opportunities that workers in rural or remote areas would not be able to conveniently access if they had to go to a campus, or move and leave their jobs. That’s especially true in the hospitality industry, where workers are often tied to one area. All of the colleges and universities on the Value Colleges ranking are trusted degree granting institutions, providing their students with a useful education and their graduates with career opportunities they would never have without a degree. Our #1 online hospitality management degree comes from the University of Missouri, one of the leading public research universities in the Midwest. Mizzou’s place as the center of learning and research for the region is well-established, having been the first public university on the far side of the Mississippi River, and as the leading institution for medical, engineering, agriculture, and law education, most professions in Missouri depend on Mizzou graduates.UM’s online degree programs have been recognized nationally for quality, and for their service to military personnel and veterans. Mizzou Online offers an online degree completion program for students with an associate’s degree or the equivalent to earn a Bachelor of Science in Hospitality Management. UM’s Hospitality Management degree has a Food and Beverage Management specialization for students in the culinary field to combine their real-world experience and skills with business knowledge. At Mizzou’s tuition rate, it’s a low-risk way to enter a new phase of your career. Part of the Concordia University System, a group of Lutheran colleges, Concordia University, St. Paul may be the best-known and most prestigious member. A small liberal arts college, Concordia prides itself on student support, community engagement, and educational excellence, but those qualities alone have not helped Concordia become a nationally-recognized university. Concordia’s focus on career-centered, practical education programs ultimately led to the creation of Concordia Online, today one of the best-known online education systems in the nation. Working adult students can earn an online Bachelor of Arts in Hospitality Management, a 40-credit degree completion program that uses short, 7-week courses to help students complete their education quickly. When 92% of Concordia students receive a job within weeks of graduation, Concordia’s reasonable tuition rates seem all the better. Missouri’s second-largest public research university (after Mizzou, #1), Missouri State University is recognized by U.S. News & World Report as one of the top regional institutions in the Midwest, and receives particular attention for their College of Business, one of the largest and most respected in the region. MSU is designated as a center for Public Affairs by the state of Missouri, giving their research and learning an emphasis on leadership, service, and statecraft. Missouri State has also been widely acclaimed for their many online degree programs, including the Bachelor of Applied Science in Hospitality and Restaurant Administration. This degree completion program is open to any student with an associate’s degree in a related field, and transfer within the state is made easy. MSU’s online hospitality degree prepares students for the field at a price that makes it very attractive to aspiring restauranteurs and hospitality managers. The third-largest public research institution in North Carolina, East Carolina University is part of the illustrious University of North Carolina system and one of the most popular universities in the state. Originally a teacher’s college, today ECU is best known for their professional and health sciences degrees, especially their nationally-ranked business and nursing schools. ECU has also become a regional leader in low-cost online education, helping working adults across North and South Carolina improve their career trajectories. ECU’s School of Hospitality Leadership, part of the College of Business, is recognized as one of the top programs of its kind in the South, and their online Bachelor of Science in Hospitality Management is its top program. Working adults in the hospitality industry can complete their bachelor’s degrees online, with specialization in Food and Beverage Management, Lodging Management, and Meeting and Convention Management. ECU’s tuition is one of the lowest in the nation, making their quality online programs a bargain. New England is the land of the Ivy League, elite liberal arts colleges, and world-class polytechnic institutes, but Amherst, MA boasts the University of Massachusetts, a major public research university that can stand alongside the most prominent of its private rivals. UMass has also become a center of online education, putting together one of the nation’s most comprehensive and trusted programs with UMass Online. Working adult students in hospitality careers can earn an online degree with the UMass reputation and quality from the world-renowned Isenberg School of Management. 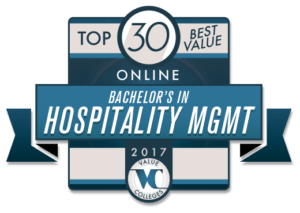 The online Bachelor of Science in Hospitality Management brings together liberal arts education and professional skills, and unlike other degree-completion programs, the entire degree, from freshman year to graduation, can be earned online. It’s UMass quality made convenient. 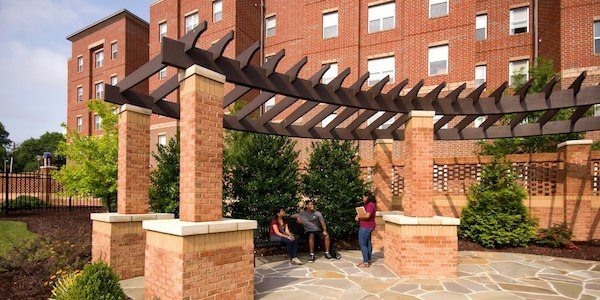 A respected public historically black college, North Carolina Central University is equally renowned for their work in the humanities and liberal arts as their expertise in science and professional studies. NCCU is a leading center for the study and performance of jazz music, operates a nationally-ranked law school, and has made significant contributions to biotechnology and engineering research. As part of the mission to provide the best education to all who want and need it, NC Central has developed their online degree programs for convenience and affordability. The Bachelor of Science in Hospitality and Tourism Administration degree can be earned completely online, making it more comprehensive than a degree completion program, and NCCU’s tuition is one of the lowest in the nation, a real value. The University of Alabama – ‘Bama to its thousands of alumni, friends, and die-hard Crimson Tide fans – was the first public university in what was, amazingly, once frontier country, and the University of Alabama shaped the development of the state. As a major public research institution, the state of Alabama owes many of its lawyers, businesspeople, and nurses to UA, not to mention its humanities and fine arts luminaries. Alabama also offers some of the best online degree programs in the region, such as the Bachelor of Science in Human Environmental Sciences, Restaurant, Hotel, & Meetings Management. It’s a lot of name, and gives online students, many of them working adults, expertise in the full scope of hospitality science. The full 120 credit program can be earned online, and its excellence and affordability have not gone unnoticed by ranking agencies. South Carolina’s flagship institution, the University of South Carolina leads research and learning in the state. USC has been recognized as an up-and-coming institution by U.S. News & World Report, with many of its individual programs ranking in the top 10 nationally; the university’s business programs are particularly well-considered. In recent years, the University of South Carolina established the Palmetto College to meet the special needs of working adult students. In the Palmetto College, students can earn their associate’s degree online or in a number of regional locations, then complete their bachelor’s degree with online degrees offered by University of South Carolina system schools. Palmetto College offers an online Bachelor of Science in Hospitality Management that originates in the USC Beaufort campus. The University of South Carolina’s commitment to providing educational opportunity is clear from their quality online programs. One of the most diverse student bodies in the US, CSU East Bay is ranked by U.S. News & World Report as one of the best regional colleges in the west. East Bay is best known for their professional programs, with a highly ranked school of business, and top nursing, health science, and computer science programs. They are also ranked as one of the top online education providers in the region. The College of Education and Allied Studies offers a fully online Bachelor of Science in Hospitality and Tourism. With their location in the San Francisco suburbs, CSU East Bay is particularly well-suited to tourism education, and their student-centered program focuses on problem solving, customer service, and comprehensive knowledge of the field, beyond just basic management skills. At one of the lowest tuition rates in California, CSU East Bay’s online degrees are a smart investment. As Washington’s land-grant university, Washington State University had public service and accessibility at the heart of its mission from the very beginning. While, like most land-grant institutions, Wazzu began as an agriculture and mechanics college, today it is one of the leading research institutions in the Pacific Northwest, as well as a Carnegie Foundation-recognized Community Engagement school, dedicated to making the best education available for the widest population. WSU’s online degree programs help it meet that goal, and the university brought together all of their online and distance programs under one roof with the WSU Global Campus in 2012. WSU’s College of Business offers an online Bachelor of Science in Hospitality Business Management degree that combines rigor and convenience. With one of the oldest hospitality programs in the nation, founded in 1932, WSU pioneered the field, and that excellence continues online. Founded as a small business school in 1914, today Johnson & Wales University is the foremost institution in hospitality management, food service, and culinary arts, with a student body of nearly 30,000 spread across 4 campuses and online. While these are JWU’s most popular programs, students also turn to JWU for degrees in sports and entertainment management, equine studies, and technology. JWU offers a fully online Bachelor of Science in Hospitality Management. Geared toward working adults, the JWU bachelor’s is completely online, first year to fourth, and applicants must have at least 2 years of work experience to prove their dedication. As the leader in the field, JWU’s hospitality management degree carries a serious weight on the job market, giving graduates a leg up in the hospitality industry. A large, four-campus regional institution, Troy University has been serving the people of Alabama since 1887, first as a normal school (teacher’s college), then gradually growing into a system of its own. Troy has been named by Forbes magazine as the top university in Alabama, and is recognized by U.S. News & World Report and the Princeton Review as a top regional institution in the south. Troy has developed their online degree system to extend their reach and provide greater opportunity for the working people of the region, as demonstrated by their online Bachelor of Science in Hospitality, Sports, and Tourism Management – those being the three specializations available. This new degree, evolved from Troy’s award-winning BS in Sports Management program, gives students a thorough understanding and command of the field, from customer service to finance, all for a reasonable tuition rate. Part of the world-renowned State University of New York system – rival to the University of California system for title of the US’s greatest public higher education – SUNY Delhi is a small teaching college located in the Catskills Mountains. Originally an agricultural college, SUNY Delhi’s location in the middle of the state’s original tourist destination explains the high quality and profile of their Business and Hospitality school. SUNY Delhi has been recognized by U.S. News & World Report as one of the top online bachelor’s schools in the nation, including their in-demand Bachelor of Business Administration in Hospitality Management. This fully online degree programs gives students a thorough understanding of business theory, practical management skills, and creative thinking and problem-solving, for success on the job market and in their careers. Florida International University grew up with the city of Miami; after being founded in 1965 to provide a public higher education option for the region, FIU matured into a major research university while Miami turned into a major metropolitan city. Now the fourth-largest university in the US, FIU attracts some of Florida’s most promising students, and has developed a world-class online degree program to provide the same opportunity to working adults. FIU’s Chaplin School of Hospitality & Tourism Management is a nationally and internationally respected program – not surprisingly, since Miami is one of the world’s top tourist towns. The Chaplin School offers a fully online Bachelor of Science in Hospitality Management degree, designed for flexibility and quality. Taught by experienced hospitality professionals, the BSHM covers all of the skills and requirements of a hospitality career, from finance to customer service, all at one of the lowest tuition rates in the region – a low-risk entry to the job market with one of the most trusted names in the field. A medium-sized (currently over 11,000 students), public liberal arts college on the South Carolina coast, Coastal Carolina University is located just a stone’s throw from Myrtle Beach, one of the prime tourist areas in the south. It’s no surprise, then, that CCU would be a leader in Hospitality, Resort, and Tourism Management. CCU’s educational emphasis is largely on professional and technical education, though their proximity to the ocean has also made them a sea-grant institution with significant oceanic research. 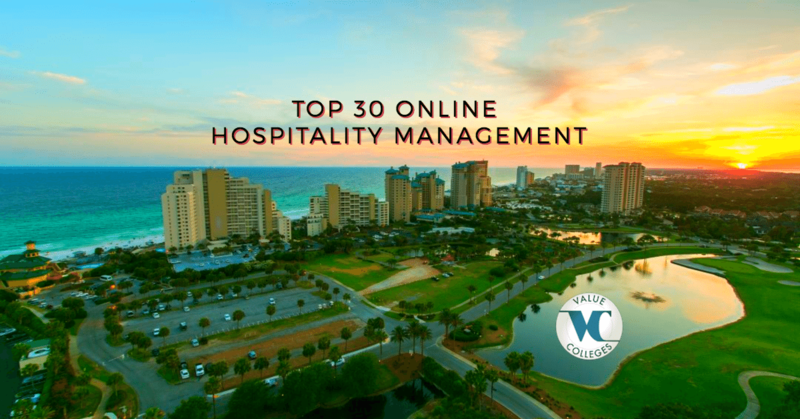 Coastal offers a fully online Bachelor of Science in Hospitality, Resort, and Tourism Management, a well-rounded and highly developed program that includes a required internship that online students can perform in their own area. With a focus on resort and coastal tourism, CCU’s hospitality management has the potential to land graduates in corporate and entrepreneurial roles in the hospitality field. A young institution on the rise, Florida Atlantic University began in 1964 to bring bachelor’s degree completion programs and graduate degrees to southeast Florida, which lacked a public university presence. Growth has been rapid in the past two decades, while FAU has grown into a comprehensive university and gained national recognition as one of the most diverse institutions in the US, as well as one of the best for social mobility. FAU’s mission is opportunity, and their College of Business helps maintain that mission with their online Bachelor of Business Administration degree. For online BBA students, a minor in Hospitality and Tourism Management requires only 9 additional credit hours (three courses), all also available online. FAU’s online programs are known for student support and military friendliness, and with one of the lowest tuition rates in the region, they’re a bargain for any Floridian. 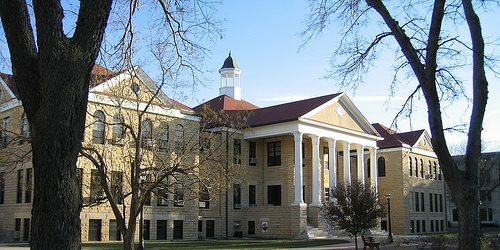 Fort Hays State University, a mid-sized public university, was founded as an agricultural school before becoming a normal school, and in its early days the experimental farm actually supplemented the students’ diets. In the 21st century, Fort Hays has become known throughout the region for their online degree programs, which began in 1999 to meet the educational needs of Kansas’ rural students. Fort Hays’ online degree programs focus on the immediate needs of the job market, and the future challenges that graduates will face in their careers. The Bachelor of Science in Tourism and Hospitality Management looks to the growth of the hospitality industry as an opportunity for students; the full degree can be completed online. Fort Hays keeps a low tuition rate, making their program accessible for working adults. A small, private institution, Robert Morris University was founded as an accounting school to provide an opportunity for a professional education to the people of Pittsburgh, PA. While business is still one of RMU’s biggest draws, their programs in nursing, information technology, and STEM have grown in reputation and recognition. RMU’s online degree programs in particular are gaining national attention. Robert Morris’s online Bachelor of Science in Business Administration degree has been cited by numerous ranking agencies as a top choice for online education, and the concentration in Hospitality and Tourism Management is one of the best in the northeast. The complete degree can be earned online, and Robert Morris cites full employment for all of their hospitality management graduates. From a small normal school to a large public research university, Northern Illinois University’s trajectory has made it the #3 public institution in Illinois, and one of the top colleges in the Midwest. Many of NIU’s individual programs are highly ranked on a national level, and while Northern has a strong visual and performing arts school, their most popular programs are in professional fields such as business, nursing, and education. With its proximity to Chicago, the third most important economy in the US, NIU has a world-class business school, and their online business degrees are some of the best in the nation. NIU offers the only online Bachelor of Science in Hospitality and Tourism Management in the region, a degree completion program that requires an associate’s degree and only 30 credits more, a convenient and low-cost way to complete a market-ready degree. As a for-profit Christian institution, Grand Canyon University is a rare bird. GCU has been recognized by Forbes magazine for their entrepreneurship, and in recent years they have made themselves a household name for their online education system. Founded as a Baptist college in 1949, GCU maintains a strong evangelical outlook and worldview, but welcomes students of all faiths, a distinction that has made it attractive to many online students both Christian and non-Christian. GCU’s Colangelo College of Business offers a fully online Bachelor of Science in Hospitality Management that can be earned online-only, with no need for an associate’s degree or transfer credits. Online courses are taught in a 7-week accelerated format, making scheduling more convenient and flexible for working adults, and their focus on problem solving, management, and service prepares graduates for long careers. As a large public research institution in a large state with a spread-out population, Northern Arizona University has made distance education one of its main endeavors. In addition to 36 regional outreach centers across the state for face-to-face instruction, NAU has built up a significant online education system, providing opportunity for Arizona’s wide-ranging and diverse population to earn their degrees. NAU’s Franke College of Business, a nationally-recognized, accredited business school, offers a fully online Bachelor of Science degree in Hotel and Restaurant Management. This program can be attended entirely online, from freshman and sophomore general education classes to the upper-division major courses, and a required internship can be accounted with students’ own jobs. It’s a solid entry into the managerial realm at a reasonable tuition rate. Founded in 1927 as a normal school, Eastern New Mexico University is an essential feature of the intellectual and academic life of the eastern region of the state, providing educational opportunities at its main campus and at its two two-year community college campuses. As a small liberal arts institution, ENMU is best known for their business and education programs, but offers degrees in every discipline. ENMU offers a fully online Bachelor of Business Administration degree program with a concentration in Hospitality Management. Since ENMU operates regional two-year campuses, transfers from those program are easy, but the complete 120 credit BBA degree can be earned online. ENMU’s student support is excellent, with the close attention of a small school, and the price is one of the lowest in the region. A small, private liberal arts college, the University of the Southwest is a Christian institution originally affiliated with the Baptist church, though today it is interdenominational. USW’s programs maintain a strong focus on Christian teaching and faith, using the bible as a standard, and their education emphasizes professional study and Christ-centered careers. USW is exceptionally diverse, with white, African-American, and Latino students making up roughly a third each of the student body. USW has made online education one of its main goals in recent years, developing many excellent degree programs including the Bachelor of Business Administration. The BBA with a concentration in Hospitality Management can be earned online for all four years of instruction. Plus, USW charges no out-of-state tuition or special distance learning fees, making their online degrees the same bargain in or out of New Mexico. An entirely online institution, Columbia Southern University was founded in 1993 as a for-profit school to provide convenient distance education for working adults and military students. CSU maintains a close relationship with the US Army, as well as Waldorf University, a separate institution owned by Columbia Southern. CSU focuses on professional education, especially business, technology, and healthcare management. Students can complete a Bachelor of Science in Business Administration degree, with a specialization in Hospitality & Tourism, fully online, including all general education and major courses, from CSU. Online students working part-time are expected to take around 5 years to finish the degree, which prepares both adults already working in the field, and traditional college-aged students, for professional careers in the service industry. Granite State College was founded in 1972 for the express purpose of providing adult and continuing education for the working people of New Hampshire, and that mission has led GSC to develop a top-ranked online degree system. Ranked by U.S. News & World Report, GSC is the top online educator in New Hampshire, and as the most affordable college in New England, GSC is highly ranked for social mobility as well. All of that excellence, and that commitment to the educational needs of working adults, informs Granite’s online Bachelor of Science in Service and Hospitality Management. With the service industry and tourism making up a substantial part of the workforce in New England, GSC’s online program is more important than ever, and at only $325 per credit, it’s a bargain for the region. Founded as a business school in 1933, Monroe College has had a deep impact on the Bronx, NY as it grew into a private master’s college. Most of Monroe’s student body is made up of African-American and Latino students, and community engagement and social mobility is one of Monroe’s points of pride. Monroe has been offering online courses since 1999, and rank as one of the best values in the New York metropolitan area. Monroe offers a fully online Bachelor of Business Administration degree completion program in Hospitality Management. Students are expected to hold an associate’s degree and have work experience in the hospitality field, and Monroe’s program is designed to build on those classroom and experiential skills with more business and management expertise. Among colleges in New York City, Monroe is an affordable choice. Located in the Boston suburb of Brookline, Newbury College began its life as a business school, and proximity to one of the busiest business cities in the nation helped Newbury grow into a respected college. Newbury’s programs, true to its origins, are focused on professional development, experiential learning, and career preparation, most notably in business, design, and culinary arts. Online degrees have given Newbury’s reputation an even greater boost. Newbury is known for their accelerated programs, using their three-semester system to get students their degrees more quickly than the average school, and their fully online degree-completion program helps students get a bachelor’s degree in Hospitality and Restaurant Management in only 22 months. With Newbury’s strong reputation, and an impressive student support network, Newbury’s online degrees are a solid investment. Founded as American Military University by a retired Marines major, with the express mission to provide educational opportunities to military service members and veterans, American Pubic University emerged as a sister institution directed toward working adults and professionals. APU’s programs focus on career preparation, skills development, and professional training. APU has been offering fully online degrees since 1995, one of the earliest out there, and they are regionally accredited, a rare distinction for a for-profit institution. The APU School of Business offers a fully online Bachelor of Arts degree in Hospitality Management, a convenient program with new course starts every month, so students can begin their degree with no delay. Specializations include Food Service, Tourism, Lodging, and Meeting & Event Planning, and students beginning without any transfer credits can complete their degree in 4 years. Stratford University has been emphasizing adult career education since 1976, developing campuses throughout Virginia and Maryland, and a partnership in India, as well as growing a substantial online presence. As a public benefit corporation, Stratford is not a conventional for-profit or non-profit institution; instead, it benefits from the entrepreneurial spirit of a corporation, with the ability to make decisions based on the public good. Stratford’s fully online Bachelor of Arts in Hospitality Management is an intensive, 180 credit, 40 course program designed for working adults in the industry. With intensive courses that can be completed in just 5-10 weeks, students can complete their bachelor’s degree in as little as 30 months, giving graduates a faster turnaround time and a quicker road to their careers, to promotion, or to their own hospitality business. A large public research university, the University of Memphis has grown since its founding in 1912 as a teacher’s college into a significant part of the life and landscape of Memphis, TN. A highly diverse student body, U of M offers world-class programs in nursing, public health, law, and technology to the people of Western Tennessee and beyond, pursuing their goal of being one of the most respected and highest-ranked metropolitan research universities in the nation. The Kemmons Wilson School of Hospitality & Resort Management offers an unusual Bachelor of Science in Education (B.S.Ed.) degree in Sports & Leisure Management. This degree, which can be earned completely online, is the perfect choice for future golf course and resort managers, theme park managers, coaches, and fitness center operators. With all courses online, and a reasonable tuition rate, graduates will find the University of Memphis a convenient way to raise their credentials and provide a long-term career.